His Majesty the Yang di-Pertuan Agong (the Supreme Ruler) of Malaysia, Tuanku Mizan Zainal Abidin gave his consent to visit the State of Pulau Pinang for two days. 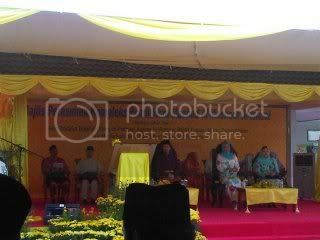 Also accompanied Tuanku Mizan was Her Majesty Raja Permaisuri Agong (The Supreme Queen) of Malaysia, Tuanku Nur Zahirah. In conjunction of the visit, Penang State Government has organized a dinner, where Tuanku Mizan consents to take a memorial picture with the Yang Dipertua Negeri (Governor) of Pulau Pinang, Tun Abd Rahman Abbas. Earlier in his visit, His Majesty officiate the opening ceremony of Maahad al-Mashoor Education Complex. Also present in the ceremony were the Governor of Pulau Pinang Tun Abd Rahman Abbas and wife, Toh Puan Majimor Sharif, and Minister at the Prime Minister Department, Datuk Seri Jamil Khir Bahrom. His Majesty Tuanku Mizan also expressed his hope, the constructions of Maahad al-Mashoor will produce a new generation of Muslim who will continue the cause of past generation who succeed to put Islam to the way it is today, and can give a big impact to the nation. His Majesty the Yang di-Pertuan Agong (The Supreme Ruler) of Malaysia is also the Head of Islam of Pulau Pinang.